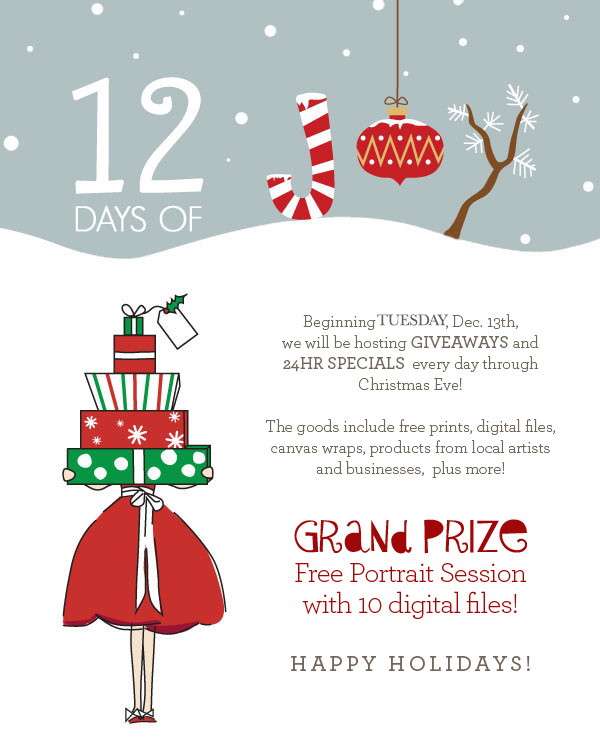 I'm super pumped to share with you all that we are hosting our First Annual 12 Days of Christmas Joy! The campaign kicks off December 13th and goes until Christmas Eve, with the Grand Prize winner announced Christmas morning! Spread the word to be entered into the giveaways and take advantage of the 24 hour sales coming up!